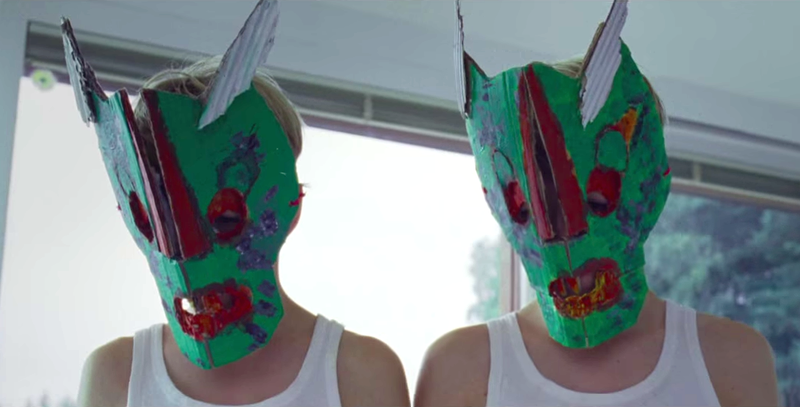 Today’s entry is for the effectively moody, 2014 GOODNIGHT MOMMY, from directors Severin Fiala and Veronika Franz. According to IMDB, the plot follows twin boys move to a new home with their mother after she has face changing cosmetic surgery, but under her bandages is someone the children don’t recognize. I had a tough time with this entry. While the mentioned plot is clearly visible in the trailer, this is not really what the movie is about- nor would I spoil anything from the movie. While I can’t call the trailer entirely misleading, it still doesn’t show that the movie is ultimately about grief. I enjoyed the film but it doesn’t require repeated viewing. Once I figured out the “twist” about 20 minutes into the movie, it sort of killed the momentum for me. Regardless, I still love the trailer as it does a good job of evoking the film’s atmospheric feeling of childhood hopelessness. Next The CREEP is back!